12 Unique Things to Do in Vancouver – by Paul Joseph for Travel Mag. 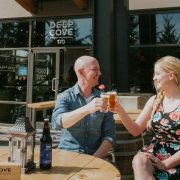 Vancouver Brewery Tours is delighted to be included in this list of fun and adventurous ideas! 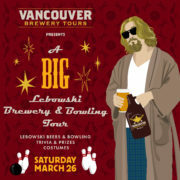 Fans of the Coen Brothers’ seminal noir cult classic The Big Lebowski are invited to don their housecoats, shades and jelly shoes and drop in to see what ‘condition their condition is in’ when Vancouver Brewery Tours hosts the inaugural Big Lebowski Brewery and Bowling Tour on Saturday, March 26 running 12pm – 3.30pm. The tour — which includes Lebowski-inspired ‘oat soda’ samples at each brewery stop — begins at Big Rock Urban Brewery and Eatery, where guests will vie for prizes in a Big Lebowski trivia contest guaranteed to test the knowledge of even the biggest fan before moving on to Storm Brewing to take part in a costume contest. The tour will end at Grandview Lanes Bowling Centre on Commercial Drive, where participants will forgo Walter Sobchak’s rule of never rolling when ‘shomer Shabbos’, and will try to avoid tossing ‘Gutterballs’. A limited number of seats to the Big Lebowski Brewery and Bowling Tour are available for $85 plus tax per person. 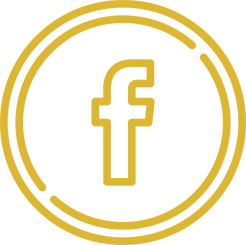 All beer and bowling (with shoe rental) is included in the cost of this tour, and every guest will receive a Vancouver Brewery Tour glass. 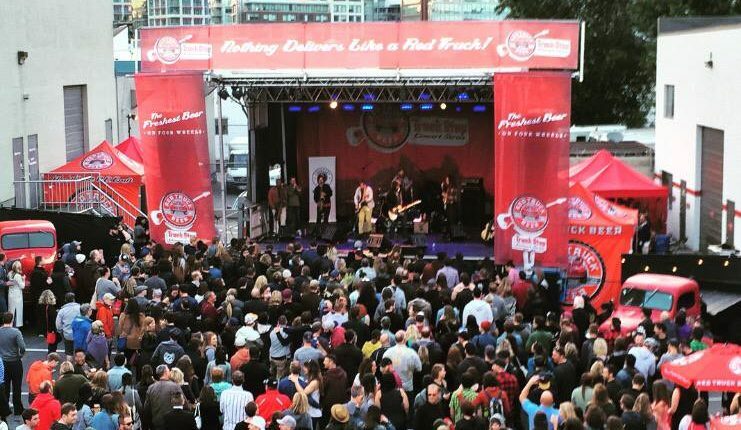 As with all of Vancouver Brewery Tours’ public and private tours, its Big Lebowski Brewery and Bowling Tour includes transportation to and from each of the breweries in its comfortable 14-passenger van, as well as pick-up and drop-off from Waterfront Station in downtown Vancouver. During the ride, guests will enjoy a selection of songs culled from The Big Lebowski soundtrack — everything except The Eagles, of course. Seats can be booked here. https://vancouverbrewerytours.com/wp-content/uploads/BL-Bowling-and-Brewery-Tour-square.jpg 2250 2250 Ryan Mackey https://vancouverbrewerytours.com/wp-content/uploads/logo-sm-300x60.png Ryan Mackey2016-04-05 09:00:002018-08-02 14:22:31Introducing ""A Big Lebowski Beer and Bowling Brewery Tour!""